Located in the heart of Bentley, the Curtin University will host The Applied Linguistics Conference 2019. Walking distance from luxurious accommodation, 5-star restaurants and many of Bentley's main attractions we trust that your experience at the Curtin University will be great. Embrace the best of both worlds in Perth, where soft-sand beaches and scenic parks meet a thriving metropolis of small bars, creative restaurants and curated street art. Nature and urban life exist in harmony in Perth, on Australia's west coast. Here, where the locals soak up more sunny days than in any other Australian capital city, you can visit nearby Rottnest Island, walk in leafy Kings Park and tour Swan Valley vineyards. For local culture, wander the nearby city of Fremantle's winding portside streets and Perth city centre's museum and gallery precinct. The Nyoongar Aboriginal people are Perth’s indigenous inhabitants and have been the custodians of the land for tens of thousands of years. The first Europeans to discover the Western Australian coast were the Dutch in 1616. Perth’s incredible beauty was recognised by British settlers when Captain James Stirling founded the city in 1829. Western Australia is Australia’s largest state covering 2.5million square kilometres and has nearly 13,000 kilometres of coastline. Perth is the capital city of Western Australia. 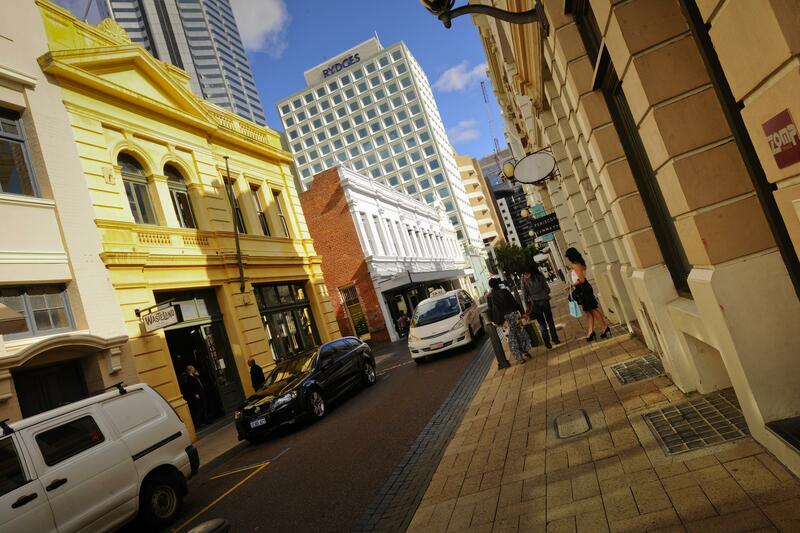 Located on the west coast, Perth is in the same time zone and close proximity to most of South East Asia. Its location also makes it the closest gateway to Australia from the UK and Europe. Perth, Western Australia enjoys hot and dry summers and slightly wet winters, altogether characterising a temperate climate. It experiences all of the four seasons every year. During ordinary days, Perth weather is depicted in dry heat paired with a cooling breeze that usually comes in the afternoon. This cooling breeze is often referred to as the "Fremantle Doctor". In November, you can expect an average minimum temperature of 16° C and an average maximum temperature of 28° C.
The domestic and international airport terminals are located approximately 11.6 km from the Perth City Centre. A shuttle bus service meets all flights into Western Australia. Operating both to and from Perth Airport, the Perth Airport Connect shuttle buses will pick you up or drop you off right at the door of your Perth City hotel. For information and bookings, please visit www.perthairportconnect.com.au or call 1300 666 806.These buses are located at the front of each terminal. Covered taxi ranks are located on the ground floor of both the International Terminal (T1) and Domestic Terminals (T2 & T3) and cost approximately AUS$50. It takes about 25 minutes from the airport to Perth. Transperth operates a bus service to and from Perth Airport's Domestic Terminals. This bus stop in located in the bus lane, closest to Qantas Domestic Terminals. Bus 37 operates daily between Kings Park and Domestic Terminals (T2 & T3), via the Esplanade Bus Port, Victoria Park Transfer Station and Belmont Forum Shopping Centre. The journey takes approximately 55 minutes. Please note that Transperth does not operate bus services to Perth Airport's International Terminal. The Perth Airport Connect shuttle service is available for passengers who wish to travel between both the International (T1) and Domestic Terminals (T2/3) and Perth City. To view maps and timetables or for further information on Transperth services please visit www.transperth.wa.gov.au. For more information, please contact Transperth on 13 62 13 (Perth metro area) or +61 8 9428 1900. Free Central Area Bus Transit (CAT) Services: Within the city centre of Perth you can enjoy free and easy transport on the modern CAT buses. Theses buses run on several routes, with numerous and easily recognisable stops, with real time passenger information, along the way. The CAT buses are a great way for delegates to move between their city hotel, the train station and other city and Northbridge attractions/venues, free of charge. A free CAT service also operates in the city of Fremantle. Buses: Perth's public bus service (Transperth) also has a free transit zone within the city and operates a comprehensive service across the metropolitan area. Trains: Perth has a modern train system with five lines: to Armadale in the south east, Fremantle in the west, Clarkson in the north west, Midland in the east and a Southern Suburbs Railway line to Mandurah. The train system is simple to navigate, clean and safe. A free transit zone operates in the city centre. Taxis: Taxis are readily available from the domestic and international airports and throughout the city of Perth. Perth taxis offer safe, efficient and cost-effective commuting for delegates and can be hailed on the street or ordered by telephone. The average taxi fare from the airport to the city is approximately $45 (25-minute journey). Cycling and walking: Perth has a comprehensive network of cycle and walk paths in the city and throughout the metropolitan area. There are some wonderful riverside routes at the doorstep of the city. There is always something happening and so much to see and do in Perth, here are a few suggestions. 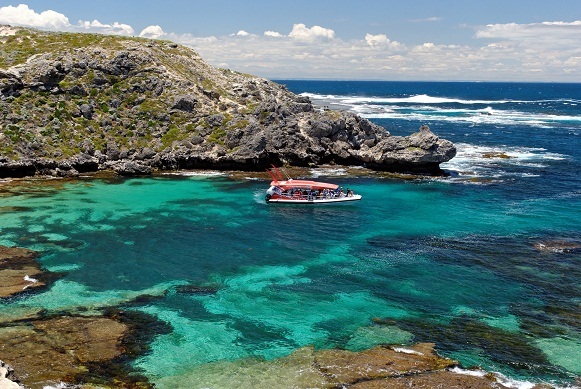 Famous for its laid back atmosphere and beautiful beaches, Rottnest Island lies just 18 kilometres offshore from Perth surrounded by the sparkling Indian Ocean. This is where the locals go to swim, surf, snorkel, fish and relax. Surrounded by coral reefs and shipwrecks, the diving and snorkelling is out-of-this-world. Rotto is a car-free zone and hiring a bicycle is the best way to get around. There's also the local Bayseeker bus that regularly runs around the island and can drop you at some of the more secluded beaches and surf breaks. There are 20 bays to choose from, meaning you can often find a stretch of sand all to yourself. Located 45 minutes south of Perth and a five minute ferry ride across Shoalwater Bay, Penguin Island is one of Australia's premier nature based tourism destinations. The star attraction is the little penguin - the smallest species in the world. Visitors can get up close to the penguins at the Discovery Centre where rangers host three daily penguin feedings (costs may apply). This is your best opportunity to see these creatures as they're shy and spend most daylight hours feeding at sea or hidden in their burrows. For those who love being on, in or near the water, Mandurah is a dream destination just 50 minutes south of Perth. There, you'll find some of Australia's most spectacular waterways, including the Peel-Harvey estuary, which is twice the size of Sydney Harbour and blessed with abundant wildlife, pristine beaches, beautiful blue-green waters and a buzzing foreshore area. Being less than an hour's ride from Perth by car or train, it's little wonder this water-side playground is one of the capital's most popular day trips. Fremantle is a 30 minute drive or a 30 minute train ride from Perth city. Against a backdrop of the best preserved 19th century port streetscape in the world, a day out in Fremantle is an eclectic and eccentric blend of fabulous artisanal food, handcrafted beers, great coffee, quirky boutiques and a lively music, arts and festival scene. On arrival, grab a sidewalk table on Fremantle's bustling ‘Cappuccino Strip’, ponder the impossibly long list of coffee options and do some people watching. Or go in search of some of Fremantle’s delectable baked goods for breakfast or brunch. If you’re in Fremantle on a Friday, Saturday, Sunday (or even Monday if it's a public holiday), step into the iconic Fremantle Markets. For over 100 years, its hall has been filled with exotic aromas, fresh produce, fashion, live music, performance art, crafts and Indigenous art. 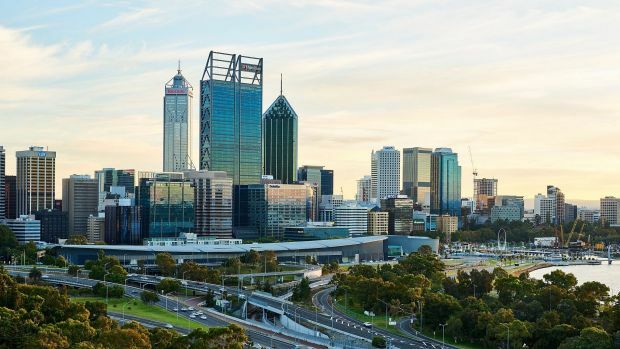 One of the largest inner-city parks in the world, Kings Park and Botanic Garden covers 400 hectares of Perth's heart with serene natural bushland and sculpted gardens. It's perched high on the crest of Mount Eliza, making it a top spot to take in sweeping panoramas of Perth's city skyline and Swan River. 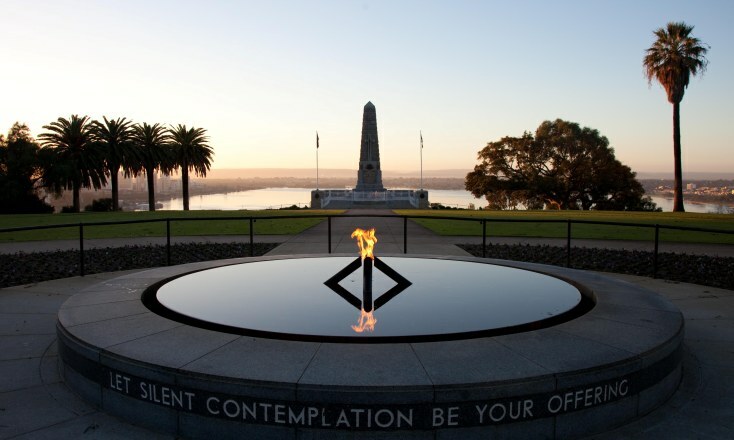 Pack a picnic or barbecue and take the 15 minute walk to Kings Park from Perth's centre, or hop on a free CAT bus. Pick up maps and brochures from the Visitor Information Centre, take a free guided walk or enjoy a self guided tour. Indulge the senses with a trip to the Swan Valley. The vineyards of Western Australia's oldest wine region invite you to sample their fruits, feast on award-winning local produce and discover local heritage. Just 25 minutes east of Perth, the Swan Valley is a world away from city life. You can reach it by road, or take the scenic route aboard a Swan River cruise from Perth's Barrack Street Jetty. You can even winery-hop in the back of a horse-drawn wagon or chauffeured classic car. For a taste of adventure and an injection of adrenalin, head to the Lancelin sand dunes north of Perth. Here, you can go sand boarding down massive 45 degree angle dunes, which are the biggest in Western Australia. Hit the sand in a dirt bike or four wheel drive. From the peaks you'll be rewarded with a panoramic outlook over Lancelin, surrounding farmland, sand hills and coastline. Some of the best views are at dawn and dusk. The sand dune system is about two kilometres long and is nestled directly inland from Lancelin Township. Lancelin is about an hour and a half drive north of Perth.